Fresh off the success of Magic Mike, Matthew McConaughey is already preparing for his next movie role by going on a cleanse. The actor has to lose 30 pounds before filming can begin for his latest project, The Dallas Buyer's Club. 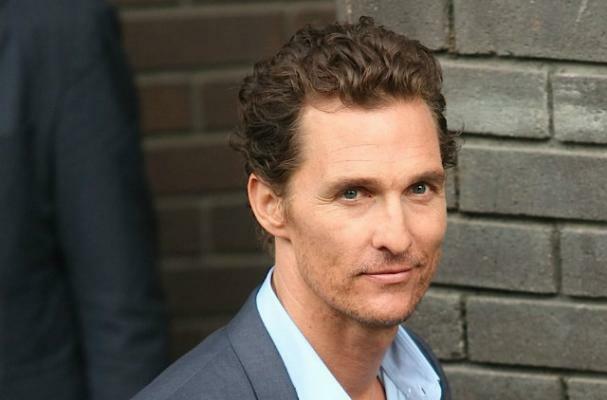 "I'm losing some weight," McConaughey said during an interview on Larry King Now. "I've got a role coming up in the middle of September. I've lost about 15 pounds, I've gotta lose about 15 more. I should not look healthy by the time I'm doing this." The actor has decided to use this time as a cleanse for every aspect of his life. "It's a bit of a spiritual cleanse, mental cleanse. [I'm] drinking a lot of tea. It takes you a while for your body to understand that it has to feed off of itself and that you're not going to give it something else from the outside." The Dallas Buyer's Club is scheduled to be released in 2013.